Scotchi is a matching game for toddlers (18 mos and up) that utilizes washable boards and pieces that velcro into place. Thirteen different themes including colors, fruits, transportation and much more will provide hours of great play for one or more. The perfect game for travel as the pieces all fit in a zip lock bag. The fun and educational Scotchi games incorporate matching images to their proper environment. In addition to matching pieces to play boards, children can mix up the elements using their creativity and imagination. The games are intended to engage child and parent, thus providing unlimited opportunities for discussion and learning together. Scotchi board games, which have been met with tremendous excitement from parents, teachers and therapists worldwide, teach children matching concepts, improve small motor skills and eye hand coordination and can strengthen memory. Each of the 13 themed sets is made from washable, flexible material that is extremely long lasting. Soft Velcro dots make this an activity perfect for small hands, and since all pieces can be easily carried in a bag it’s perfect for travel near and far. Among the games available are: My First Colors, My First Shapes and My Farm Friends for 18 months and up. For two years and older, children will enjoy Shapes and Colors, Mixed Fruit and Mixed Vegetables. The “oldest” grouping for three years and up includes In Our House, People at Work, Village Train, Supermarket, Around the Table, Girls Dress UP and My First Clock which is not only a hands on matching toy but it also begins to teach the concept of time. My favorites were the Shapes And Colors AND Village Train. A wide variety of matching shape and color combinations. 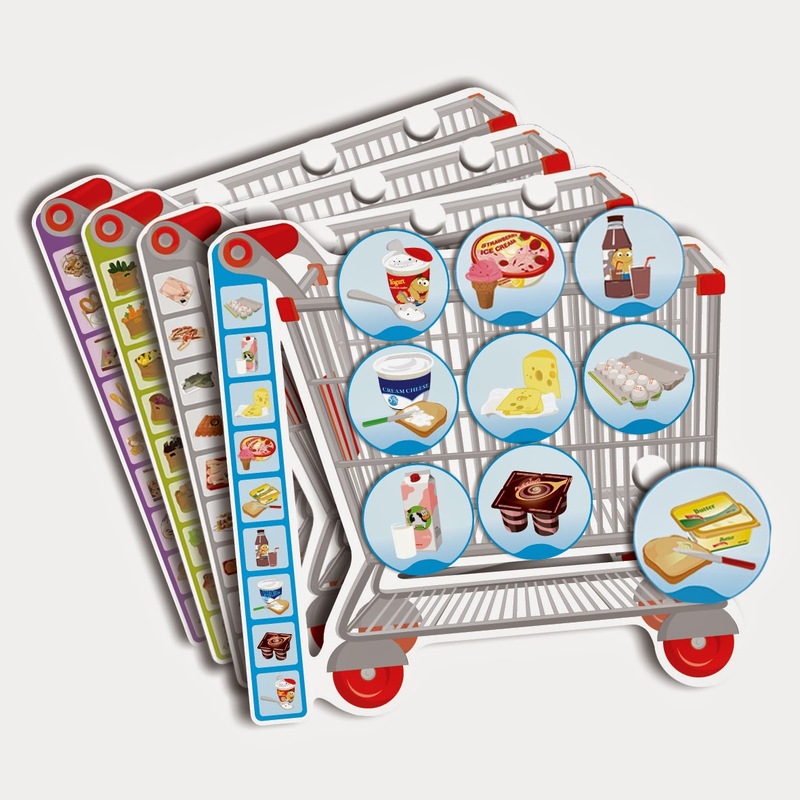 Attach the play board to the activity mat, and complete the pictures using the appropriate pieces. Learn to sequence while sorting and counting the colorful vegetables. Put the vegetables on the train carriages in order of their amounts and line them up correctly from 1 to 6.